Spacious, affordable homes that keep life simple and hassle free. At the Cascade Group we provide premier assisted living accommodations to seniors who are unable to live alone independently. Memory loss diseases can be extremely challenging, not only to the individual who is facing the illness, but also to the entire family. Apartment living at the Cascade Living Group’s properties is about simplifying your lifestyle with services designed around you. At the Cascade Group we offer affordable elegance seniors can enjoy with all the benefits of retirement living in a resort-style setting. As the primary caregiver for a loved one with Alzheimer’s or other memory diseases, there is little time left for personal activities or errands. We understand the challenges that memory diseases can cause for both the individual who is coping with the disease and their family. The staff and fellow residents have made me feel most welcome. The various activities, games, and great food make life really great. I am able to maintain my independence but have made good new friends to share my life with. Gratefully, there was no institutional appearance to turn us away. Instead an airy, bright, cheerful, resort-like ambiance greeted us. 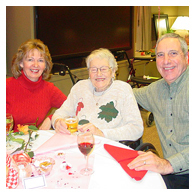 We offer a wide array of services that are available to all of our senior residents. Help Us Make a Difference in the Lives of Our Residents! Residents, friends and neighbors enjoy time together in our many community spaces. 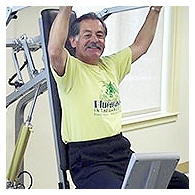 Robust programs support healthy minds, bodies and spirits. 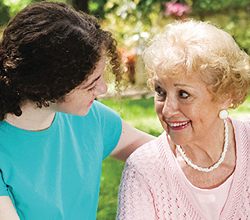 At Cascade Living Group, our associates enjoy working with wonderful people in a supportive and caring environment. Find an exciting career with us!